Do you have a popular method of reducing fat by GM DIET (General Motors)? Friends, as you all know that by keeping our body healthy in our life nowadays, we can go on in the race of success. Replacement of food and habits has put us in many kinds of problems, of which obesity is the most Has emerged as a large and commonly known problem. The problem of obesity can lead to many other diseases such as diabetes, osteoporosis and cardiovascular diseases. Because the first day of the beginning of this diet is fruit, therefore you can choose any such fruits that are easily available in the weather such as watermelon, papaya, cherries, melon, etc. in the summer and apple, guava in the winter season. , Orange. But avoid using fruits like banana, mango, litchi. Whenever you feel hungry, eat fruit, as well as keep in mind the amount of fruit. Try drinking 3 to 5 liters of water. I also included a 30 minute walk during the night at my daily routine. This day is full of vegetables, so some people may have trouble but can be used by making vegetables of their choice like cucumbers, tomatoes, radish, carrot salads. This day comes with some relief because both fruits and vegetables can be used. On this day, I showed more favor to the fruits. According to the diet you can take 6 bananas and 4 glasses of milk on this day, but due to my diabetic I used apple instead of banana. You can use banana shake even if you want to use it all day. This day will come as a relief from the rest of the day because the food options will increase. On this day, I added lentils of lentils sprouted mung beans prepared in the meal. You can also add cottage cheese sticks to the food. After a four day diet, these meals will treat you with treatment. This is the day to give soup a place in the food. You can prepare the soup of any vegetable except the tomatoes, but keep in mind that there is no use of ghee or oil in the soup. If you feel hungry, cucumber salad can also be eaten. On this day you can take things like brown rice, sprouts, juices in the fields. You will feel very light and happy in advance. In these seven days I had lost 3 kilos. By finding the fruits of your hard work, you will not be happy. Keep this in mind that this diet only reduces the amount of extra water from your body, which makes your body feel lighter than before. Our body does not start burning fat in such a short period. 2 This diet reduces your weight just for a short time. If you do not take proper care of your diet and exercise, then the weight loss may start moving back. Understanding the easy choice of staying healthy for a long time will not be right for this diet. I would like to say that you should use this diet only when you need to reduce some kilos of weight quickly for any function, party or special occasion. 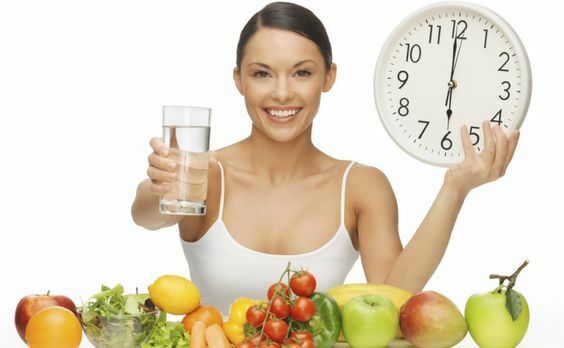 4 Take care of your health problems and follow this diet only after consultation with a doctor. 5 Use plenty of water as well as light exercise with diet. Re-use this diet after a gap of at least 15 days. So how would you think if you want to reduce your weight for a particular occasion, then follow GM diet and share your experience with us.